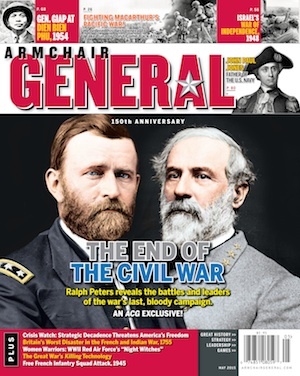 Memories of Vietnam | Armchair General Magazine - We Put YOU in Command! What follows is the first part of an interview that took place between March and June of this year with Steven R. Hansen from Jonesboro, Arkansas, a two-tour Vietnam veteran and ACG forum member (aka MortaFO). When I first asked him if he’d be interested in doing it I had little hope he would agree, yet he kindly accepted and provided lengthy and detailed answers that went far beyond my expectations, I know it wasn’t always easy to dig up old memories, and I wish to thank him for the time and effort he put into our conversation. Hello Steve and thanks for answering Armchair General Magazine. From your personal profile on the forums I can see that you enlisted in the US Army when you were 17, so it must have been in 1960 if I’m correct, what were your motivations to join the forces back then? I enlisted in October 1960. Joining the Army at 17 was not particularly unusual then. You had to have your parent’s consent (to join before your 18th birthday) and in my case, at least, that was no problem. I joined to escape a difficult situation at home and a real lack of interest in high school. The simple fact is that I needed to move on with my life. In those days every American male knew that he had an inescapable military obligation. So, I saw enlisting as a way to get away from home, have a bit of security, and get my military obligation out of the way. My Mother signed for me. I think she was secretly happy to see me assert myself. My father was in the merchant marine and away. By the time he returned and found out where I was I had already completed basic training and I was a few months short of 18. The deal was done. I am retired now. And when I look back at my life I must say that I have prospered. I don’t know how things would have turned out for me if I had not enlisted when I did. But I can say that all of my subsequent achievements in life are due, in great part, to my decision to enlist. What was your first affectation in the Army? and how did you find yourself involved in the early creation of the 1st Cavalry Division? The 1/7 Cav (your first unit in Vietnam) was born from the redesignation of the 2/23 Inf, 2d Infantry Division, was it your first unit? I took Basic Training and Advanced Individual Training (AIT) at Ft Ord (Near Monterey California). My MOS upon graduation was 112 – Heavy Weapons Infantryman. In AIT I trained on the 81 mm mortar, the 4.2 inch mortar and the 106 recoilless rifle. Immediately after graduation I was flown cross country to McGuire AFB/Ft Dix New Jersey and processed for assignment to the US Army Europe. From Ft Dix I was bussed to the Brooklyn Army Terminal where I boarded the USNS Rose, a troop transport, and sailed to Bremerhaven, Germany. From there I went by train to Bamberg, Germany where I joined my first TO&E unit, D Company, 2nd Battle Group, 4th Infantry Regiment, 3rd Infantry Division. I stayed in D Company for two years and advanced to the rank of Specialist 4th Class. My first job was ammo bearer in an 81 mm mortar squad. But I was quickly assigned as a forward observer (FO). By TO&E this was a sergeant’s job but the sergeants that we had in the platoon were all squad leaders. As I noted earlier I joined the Army to get away from home and to fulfil my military obligation. I had no intention at the onset of staying for a career. But I found a personal satisfaction in the Army that was missing in my earlier civilian life. In February 1962 I reenlisted and concurrently requested reassignment to the Berlin Brigade. In Berlin I was assigned to C Company, 3rd Battle Group, 6th Infantry Regiment. In Berlin I was an 81 mm mortar FO and squad leader. I was promoted to sergeant (E-5) while I was in Berlin. My Date Eligible To Return (from) Overseas (DEROS) was in March 1963. In December 1962 I received orders to the 2nd Infantry Division at Ft Benning. I was also infatuated at the time with a German girl and requested a one year extension of my tour. Such extensions were quite common and always approved. But my extension request was disapproved. The personnel people told me I was being assigned to a high priority unit and no diversions would be considered. I arrived at Ft Benning in late March 1963 and I was assigned to B Company, 2nd Bn, 23rd Infantry. The unit was part of the 3rd Brigade, 2nd Infantry Division and the entire brigade was in the process of reorganizing in preparation for attachment to the 11th Air Assault Division (Test). As part of the reorganization all of the mortar men were assigned to D Company, a newly established heavy weapons or "Combat Support" company. Our first order of business was bringing the unit up to strength. From the standpoint of officers and NCOs we were at or close to authorized strength. But we were short soldiers. The Army’s solution was to send us fresh basic training graduates. The concept was called "Train and Retain". We gave them their AIT in the unit and they became our replacements. These were the soldiers that performed so magnificently in the Ia Drang. disclaimer just above this text box before posting. company, 20th infantry. In country between 65/66-69. looking for info on my uncle pfc charles e frederick, 1/7 . k.i.a. 1/31/66 during operation masher. he recieved a bronze star posthumosly and was originaly listed as m. i. a.